Product prices and availability are accurate as of 2019-04-26 07:07:53 CDT and are subject to change. Any price and availability information displayed on http://www.amazon.com/ at the time of purchase will apply to the purchase of this product. 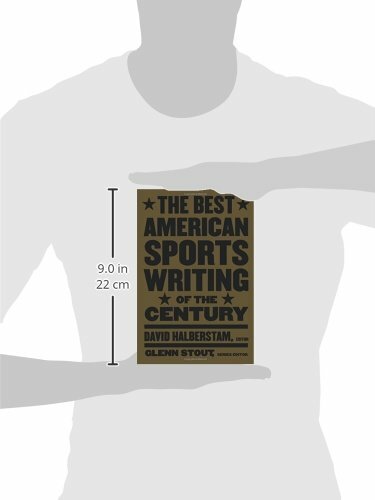 and volume of sports writing in America throughout the 20th century, the concept of putting together a single collection called the "best" needs a bold stabilizing act of boldness and special. And that's simply exactly what it is. Sports fans-- however why limit this gleaming, spirited, enthusiastic prose to simply sports fans?-- will relish the equilibrium of David Halberstam's and Glenn Stout's wide range of choices. Their tribute to the knights of the keyboards is Hall of Fame-level from cover to cover. 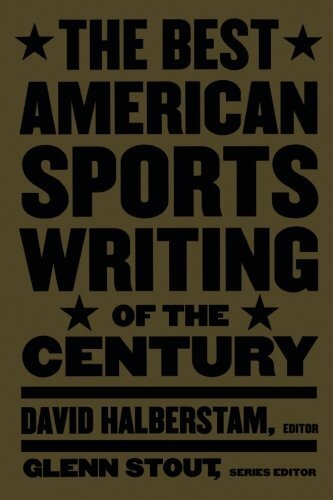 Halberstam and Stout do not waste whenever. 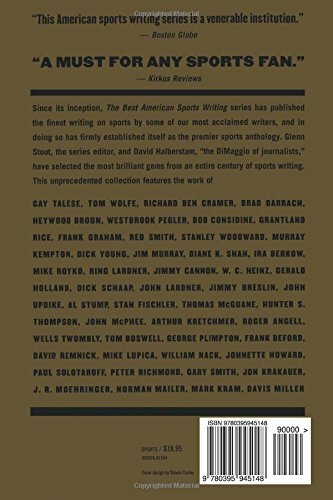 They lead off with among the fantastic tours de force of American nonfiction, Gay Talese's strikingly poignant, 1966 profile of a moody Joe DiMaggio, "The Silent Season of a Hero." Before you can finish digesting it, they loudly switch gears to Tom Wolfe's "The Last American Hero," a razzle-dazzle appearance at Junior Johnson and the world of stock-car racing. By the time Best takes the checkered flag nearly 800 pages later on, it has actually covered a remarkably rich and differed course that goes through the pens of such amazing talents as Grantland Rice, Red Smith, Frank Deford, W.C. Heinz, Jim Murray, Murray Kempton, Ring Lardner, John Lardner, Jimmy Breslin, Al Stump, John Updike, John McPhee, Hunter Thompson, Norman Mailer, Jon Krakauer, Tom Boswell, Roger Angell, and David Remnick. Whew!